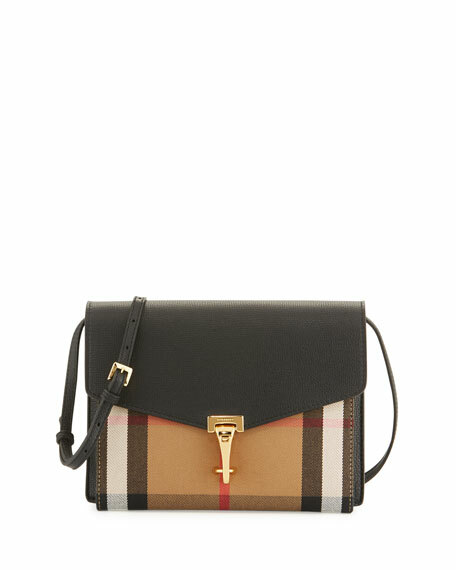 Burberry grained leather and check canvas crossbody. 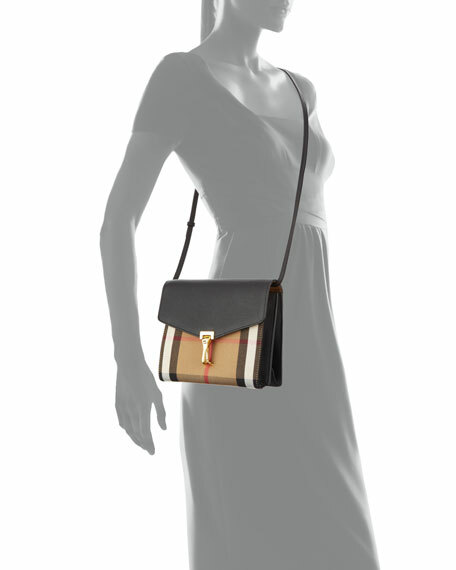 Detachable crossbody/shoulder strap; 21" drop. Inside: cotton lining; one open pocket. 7.5"H x 9.8"W x 4"D.
For in-store inquiries, use sku #272814.